All told, the 2017 Super Bowl brought in $347 million to greater Houston’s economy, according to a follow-up report commissioned by the Houston Super Bowl Host Committee. 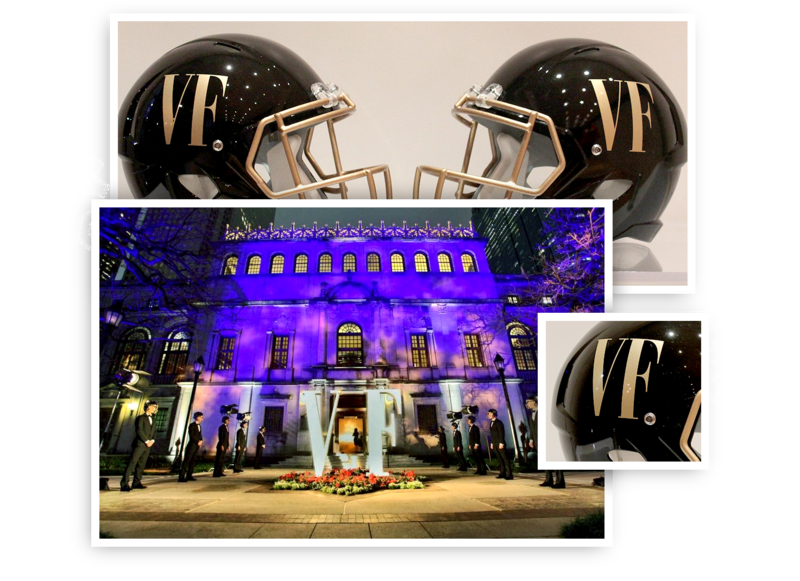 And with hundreds of events and engagements happening in the months, weeks, and days leading up to the Big Day, the Host Committee reached out to 2020 Exhibits to help deliver some of these extraordinary experiences. 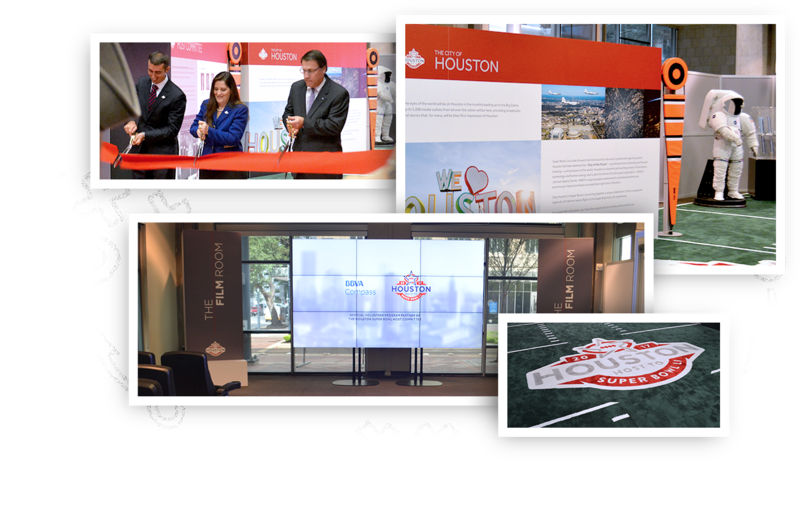 Nearly 15,000 potential volunteers representing every Houston zip code walked through this amazing space on the road to supporting Houston’s Big Game, Super Bowl as ambassadors for the City of Houston. 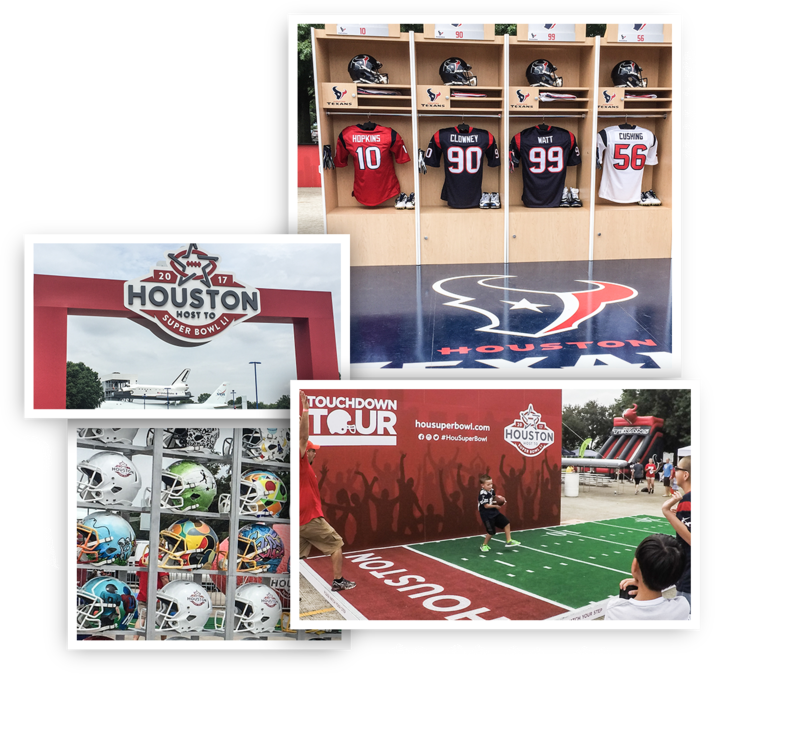 As a traveling tour designed to excite and engage communities ahead of the big game, the TouchDown Tour featured interactive games, a Houston Texans mobile locker room, a one-of-a-kind custom designed and built helmet wall, special photo booths, giveaways, music, food and drinks across the city of Houston. 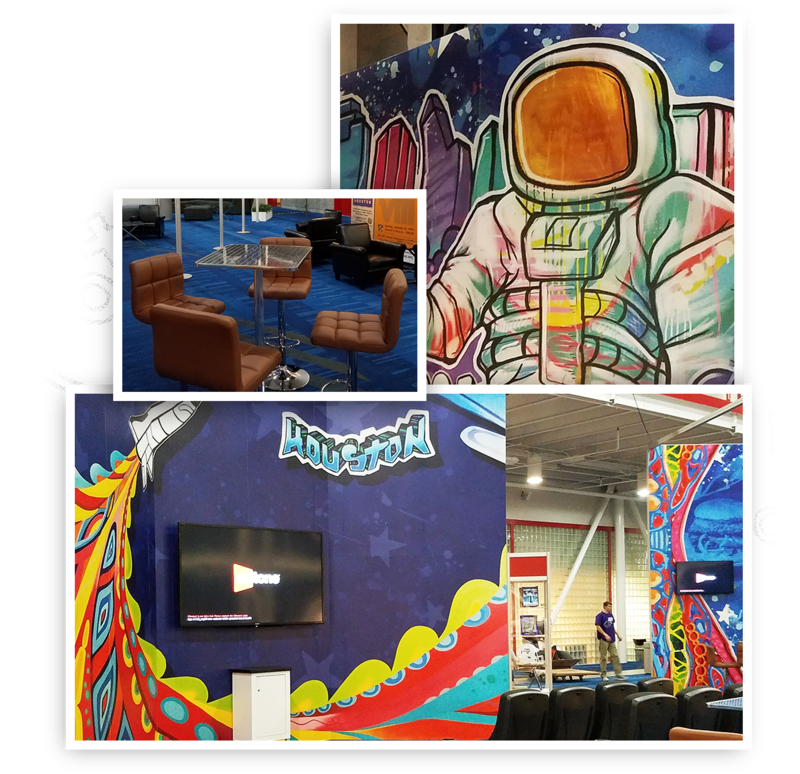 Going live in 5-4-3-2-1, the custom designed media center was awash in bright colors and graffiti designs. 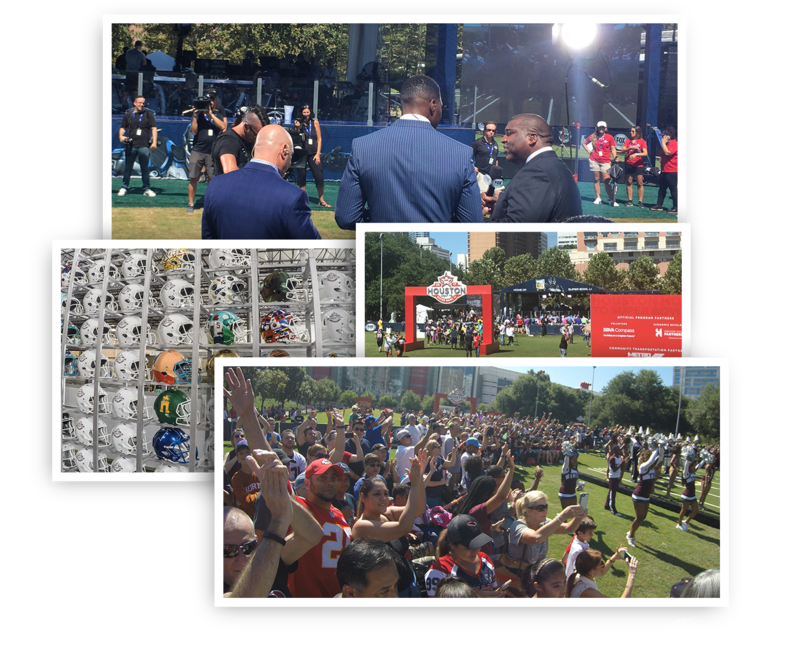 Pre-game excitement was at an all-time high, with FOX NFL Sunday broadcasting live and kicking off the countdown from Discovery Green. 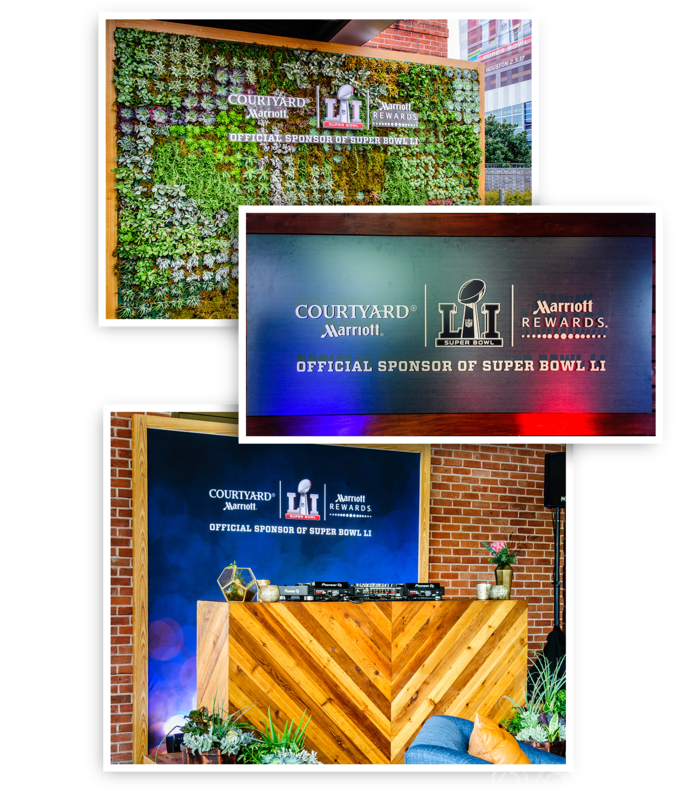 In downtown Houston, the Grove transformed into Texas House for downtown Super Bowl activities.